I’m posting this a bit early because He-Man and I are celebrating our 35th Wedding Anniversary this week-end. No one is more surprised than us that we’ve been married this many years. Time has just flown by! Regarding this image- I made it last March about this same time when the Lupine was in full bloom up on the mesa. May your Easter Basket be filled to the brim with goodies and love. Happy Easter! If you don’t celebrate Easter I hope you enjoy the week-end with those you love. 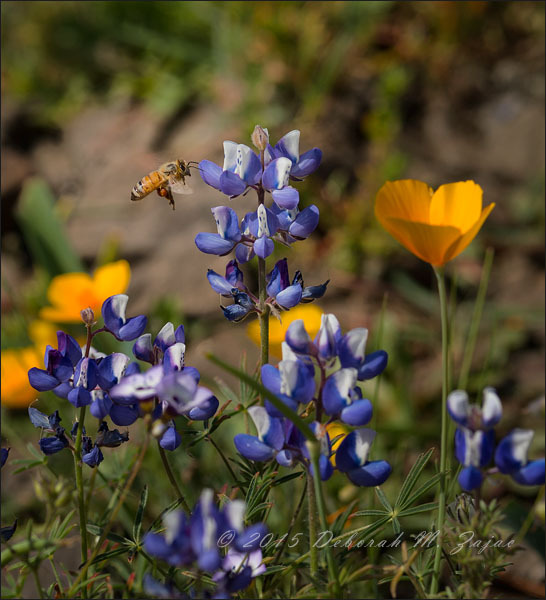 Author circadianreflectionsPosted on March 25, 2016 March 25, 2016 Categories California, California Wildflowers, Easter, Holidays, Holidays and Observances, Lupine, Northern California Wildflowers, Photography, Wildflowers, Wildflowers of Northern CaliforniaTags Blue Sky, California, Easter, Field of Lupine, Holidays in the USA, Lupine, Nikon, Oak Tree, People on a branch, Photography, Purple, Spring flowers, Wildflowers24 Comments on Happy Easter! Sunset Lake Helen, Lassen National Park, CA. USA. I went up North to Lassen National Park with a side trip to a Lavender Farm, and a fabulous waterfall with good friends. We were hoping to shoot the Full Moon, and later shoot the Night Sky since we’d be in up in the mountains and away from light pollution. Unfortunately, Mother Nature had a different idea. As the afternoon wore on the clouds got thicker, and darker. On the bright side… It was Spring up in the high country: the Lupine was in full bloom, and the sunset was gorgeous. This is Lake Helen…very low, but it’s still gorgeous. I said they miss named this Lake because what you really can’t see here is the water is a lovely inky blue. Shortly after this image was made there was lightning to the southeast! We rarely see it here so we chased it. It was fun! I’ll be catching up with all you did this past week, and sharing more from my week-end in upcoming posts. 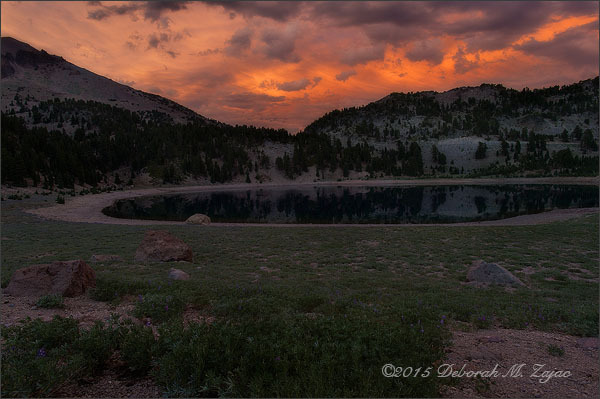 Author circadianreflectionsPosted on August 2, 2015 August 2, 2015 Categories Lake Helen, Lakes, Lassen National Park, Sunsets, USA National ParksTags Clouds, Drought, Humid, Lake Helen, Lassen National Park, Lupine, Reflections, Rocks, Spring in the High Country, Sunset9 Comments on Sunset Lake Helen, Lassen National Park, CA. USA. It’s officially Spring! The Wildflowers are popping up all over, and the bees are busy at work. I made this image yesterday while on a Wildflower Hike on Table Mountain in Butte County, CA. Here’s one of my favorite poems about Bees by Mary Oliver. My favorite Nature Poet.